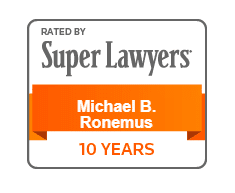 Michael B. Ronemus has extensive experience in litigation covering a wide range of legal areas. Because of his medical school education, he is uniquely qualified in the areas of medical malpractice and personal injury. In his more than 20 years of practice, he has achieved an impressive record of success, having tried more than a hundred cases to verdict and winning millions in compensation for his clients. After earning a Bachelor of Science from the University of Colorado in 1977, he attended Vanderbilt University Medical School and then enrolled in the New York University School of Law where he received his J.D. in 1983. In 1984 Mr. Ronemus became licensed to practice law in New York and Massachusetts. 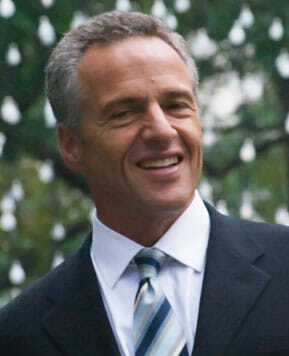 He was admitted in Connecticut in 1987. Before becoming a partner with Ronemus & Vilensky, Mr. Ronemus was an assistant district attorney in Brooklyn, New York, an associate with Landau & Miller, and in private practice. Currently, Mr. Ronemus is a member of numerous professional organizations, including the New York State Trial Lawyers Association, Association of Trial Lawyers of America, Connecticut Trial Lawyers Association, and the New York State Bar Association/Medical Malpractice Committee. Mr. Ronemus has lectured for the New York State Trial Lawyers Association, The Association of Trial Lawyers of America, and The Connecticut Trial Lawyers Association on topics including motor vehicle law, insurance law, negligent security cases, and medical malpractice.